_Richard Howell, son of E. and Martha Mitchell-Howell, was born in 1858, probably in Texas, and moved to Parker County in the early 1880’s with the family of his stepfather, John Thomas. Included in his family were Richard’s mother, Martha; his brother, Will; a sister, Susan, who later married George C. Black of Parker County; a half brother, Edward A. Thomas; and step brothers, James F. and Samuel Thomas. When Martha Mitchell Howell Thomas died in 1886, John Thomas and part of the family moved back east. By that time, Richard had married Medora Elizabeth McDonald, daughter of Lewis P. McDonald and Mary C. Wheelock McDonald, in 1884, and had settled down to a life of farming on a portion of the McDonald homestead at Clear Fork. A close neighbor of the Howells was his mother’s sister, Nancy, who was married to Will Dobbs. Nancy born 1838, and Martha born 1842, were born in Blount County, Tennessee to James and Rebecca Sharpe Mitchell. The Mitchell family came overland by wagon to Fort Worth, Texas where they filed on 220 acres in 1859. 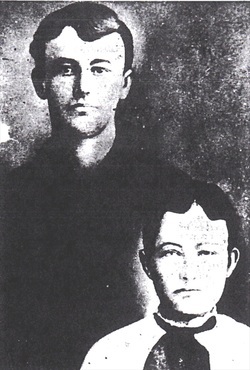 James Mitchell died soon after the family’s arrival in Texas. 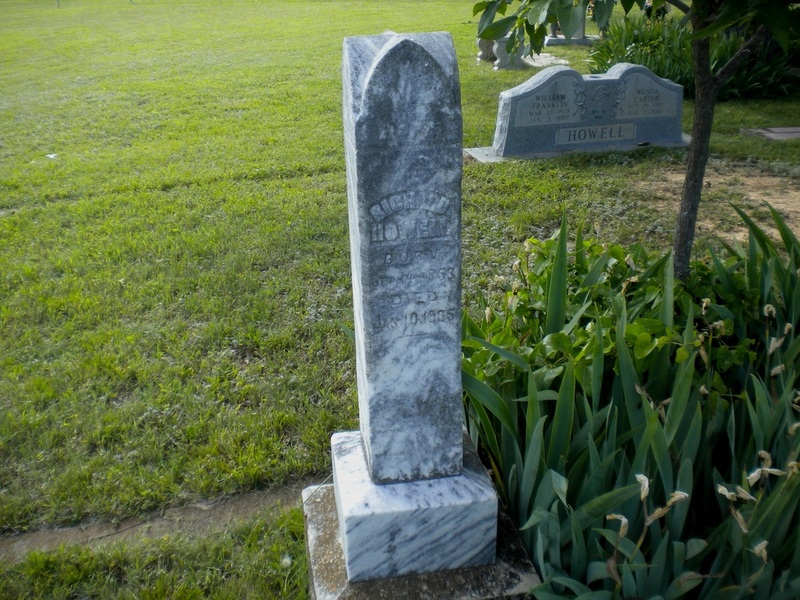 Children of Medora and Richard Howell were; Andrew P. who married Stella Burdin; Boyd Edwin, died young; William Franklin married Cora Lee Dugan; Mary, died young; Arthur S., died young; Lottie married Everett S. Carnes; and Susan who married #1 J. R. Earles and later married Monroe M. Curtis, now deceased. Richard Howell was a member of the Woodmen of the World when he died in 1905 of Typhoid fever. He was buried in the same plot as that of the Howell children who had died in childhood. Medora Elizabeth married again in 1908 to Will N. Easley, and eventually moved from the Clear Fork area. However, when she died in 1930 she was buried by the side of her first husband in the Clark Cemetery.